In the last few years the digital world has changed drastically. People who in the beginning had desktops and laptops to search the internet and view different content and interact with it are now switching to smart phones and tablets. Just like that the content we view on the internet today has also transformed. For the longest time text content has been a place where people have learned from, got entertained, and been interested in. However, since the past couple of years people have been leaning towards something else more and that is video content. 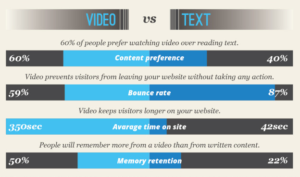 Today, video grabs more attention from the people than a text post would. According to studies if you want your viewers to share and interact more with your content doing so via video is the best way. Why? Reading something requires you to be more involved and your brain to process more than it would in watching a video and humans are wired to lean towards something more if it requires them to do less work. Watching a video is passive and much less demanding than reading which is probably why platforms like Youtube, Facebook and Instagram are in the limelight today. 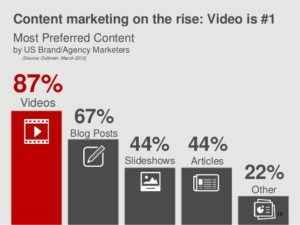 There is all sorts of different content for all types of audiences in the form of videos today on such platforms being another reason why video content is reaching for the top. How is this beneficial for the publishers and advertisers? Not only are videos a great way to showcase your content but they have also been a great and useful platform for publishers and advertisers to advertise their brands or products and earn. Most sites are pivoting to videos to advertise now because of audience demand and because advertisers now prefer to have their ads given out as videos more as it is harder for people to ignore them. 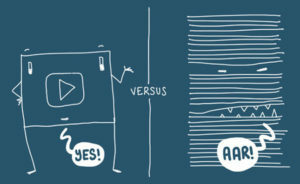 Videos are actually more beneficial for the advertisers because they target their audiences based on their demographics. Today, the internet is so advanced that a website can identify their age, gender, interests and even their geographical location and manipulate them through that. Another way advertisers do benefit from this is by putting out more catchy, attractive and conducive advertisements which naturally attract people more and result in better purchase. In the end each of these entities act on where the audience’s attention is grabbed more. It’s not that writing now is dead, but it surely is not the highest margin anymore, where video today is. How video Ads can Ramp up your revenue ?